This webinar will be facilitated by Michael O’Neil. Michael O’Neil has campaigned for civil liberties, the environment and the rights of working people in New York City since 2003. 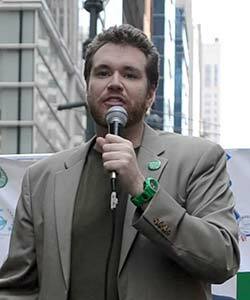 In 2008 he worked on his first Green Party campaign, coordinating the petition effort to put the party’s presidential candidate on the ballot. Michael also organized the effort to put Howie Hawkins on the ballot for governor in 2010, and then continued to serve that campaign as a downstate coordinator.